Three outstanding ideas for better dementia care developed by frontline medical staff and patient carers are being celebrated at BioWales 2017. Cardiff and Vale University Hospital Board and Cardiff University developed a ‘Dementia Challenge’ as part of their drive for clinical innovation in Wales. 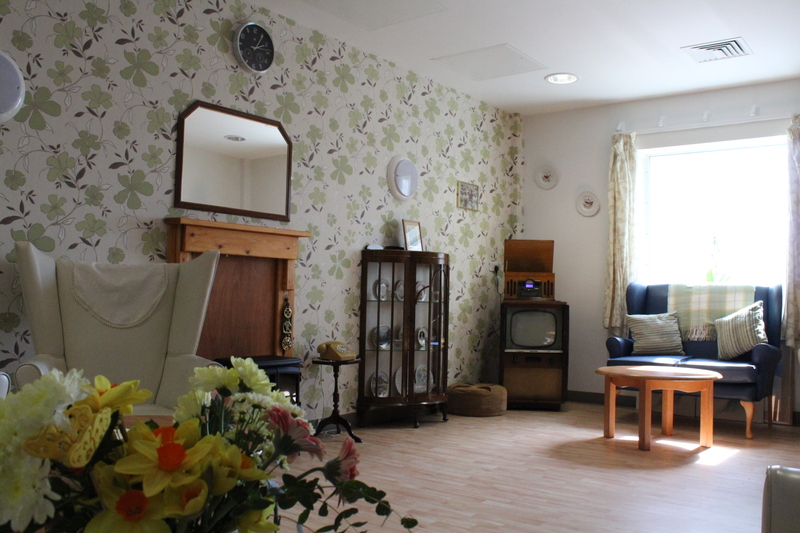 a protected space in wards for patients with dementia and carers. The projects are being showcased at this year’s BioWales life sciences event in Cardiff. 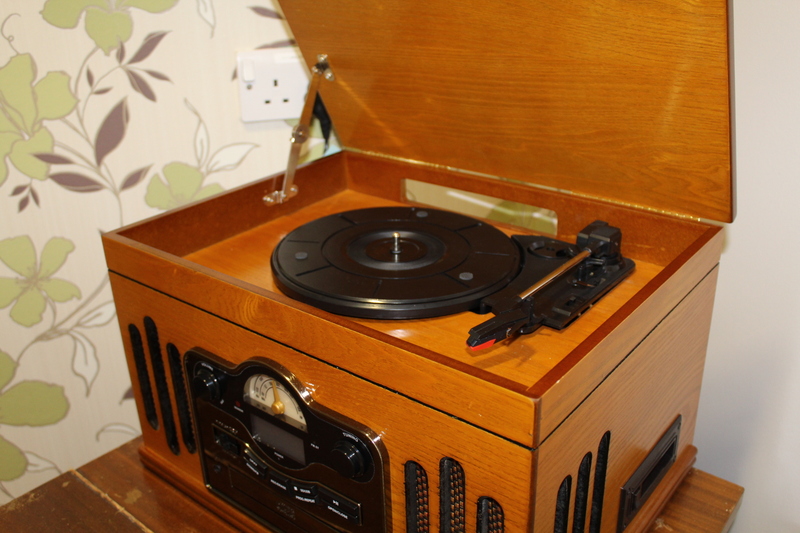 The period sitting room – known as the Cwtch – boasts 1950s furniture, including a record player and glass cabinets. It is based on East 18 ward at University Hospital Llandough near Cardiff. It was the brainchild of Ben Ford, Ward Manager and Katherine Martinson, Refocusing Nurse on East 18. Patients’ family members helped design and decorate the new space. East 18 is part of the Mental Health Services for Older People service at Cardiff and Vale University Health Board. It provides care for patients with Dementia and Alzheimer’s who require hospital admission. George Drummond from Penylan, Cardiff, gave up his free time to wallpaper, tile and fit out the room. George’s wife Elaine was admitted to the unit in November 2015 and sadly passed away in May last year. Two more wards at University Hospital Llandough have now set up similar rooms to help ease patient stress. The #Ineedadrink-H₂O campaign encourages hospital staff and carers to make sure patients stayed hydrated by offering a glass of water when they visit the bedside. The idea was developed by ward manager Liz Vaughan, and Cath Bradshaw, professional practice development nurse, at the University Hospital of Wales in Cardiff. 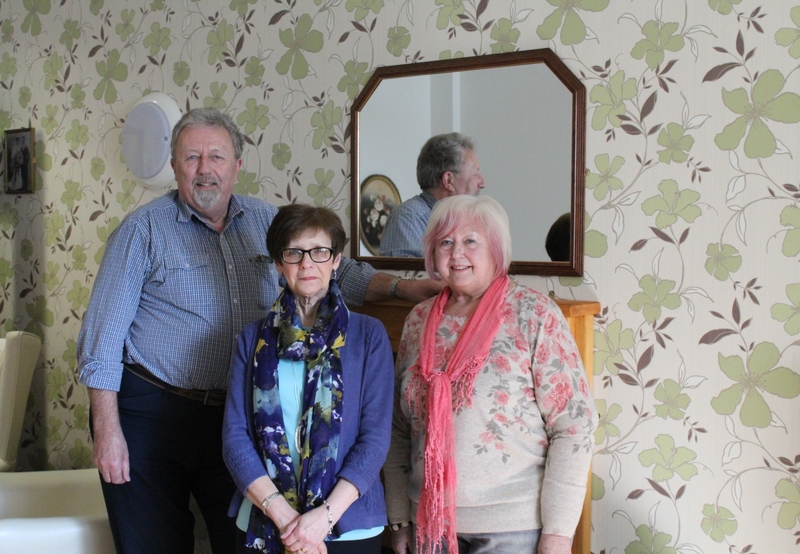 They worked with Jackie Askey, from Llandaff, Cardiff, whose husband, George, suffered from dementia and died one month after being admitted to hospital. The campaign involves a bedside sign showing the patient needs hydration, a place mat for recording intake, and a flyer leaflet to promote adequate hydration in spotting dehydration. The third project – ‘Making a surgical ward environment dementia friendly’ – aims to improve the experience and safety of people with dementia in a general surgical ward by adapting surroundings to meet the needs of people with dementia, based on criteria developed by the Kings Fund. Cardiff and Vale University Hospital Board and Cardiff University strengthened a commitment to work more closely on Clinical Innovation at last year’s BioWales. They set up a formal initiative, the Clinical Innovation Partnership, to deliver better patient healthcare and accelerate the translation of clinical innovation into improvements in health and clinical services in Wales. The partnership established a novel Multidisciplinary Team (MDT) to bring frontline Board staff and academics together to develop ideas. Jared Torkington, Consultant Surgeon, chairs the MDT. BioWales will also hear that Professor the Lord Darzi of Denham will be guest speaker at Cardiff University’s second Home of Innovation lecture on 3 May. Lord Darzi will discuss how advances in computing and data analytics are speeding the convergence of science and surgery.